This self contained strapping system weighs only 8kg and packs the power of steel strapping but with the portability of a lunch box. Safely strap up job site materials for transport with nearly 1100kg of breaking strength. 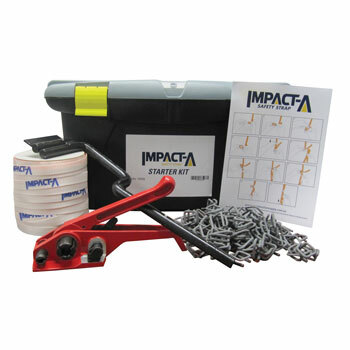 To buy IMPACT-A Strappng Kit, please use the Store Locator below.